Located at 3545 Buckner Blvd, Virginia Beach, VA 23453, our restaurant offers a wide array of authentic Chinese and Thai Food, such as General Tso's Chicken, Curry Shrimp, Pad Thai Tofu, Mongolian Beef and Happy Family. Try our delicious food and service today. Come in for a Chinese and Thai Lunch Special or during evenings for a delicious dinner. 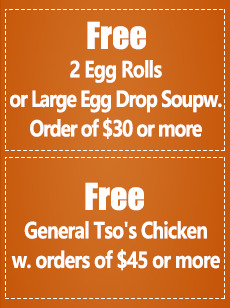 You can also order your favorite Chinese and Thai food for take out.